I’ve been looking forward to this movie for a long time. I just re-watched the first movie and boy is it good. There are so many subtle references to our own culture and the little things families face everyday, and there are so many laugh-out-loud moments and amazing quotes that I still use today like Dash saying “I love our family” or Edna telling Elastigirl to “Pull yourself together!” or Frozen arguing with his wife about his Supersuit. So boy was I excited to walk into the theater and finally watch the sequel. I love the little shorts they play before every Pixar movie and this one was good too, it made me cry and was so sweet. And then the Incredibles started, picking up right where we’d left off in the first movie with our super family fighting the Underminer. It was full of great action and comedy. I loved seeing the family having to work together and so eager to help each other. I don’t want to give away the entire plot, but I can say that this movie was very enjoyable to watch. I especially liked seeing how the family had to adjust to Jack Jack’s new powers and Edna Mode’s reappearance. I also really appreciated the struggle the Parr family went through of trying to do what they know is right while still respecting the authorities that deemed their actions illegal. It’s been something that society and the church has had to deal with over and over. How to submit to authority but still influence culture for good? When to obey and when to stand up and say this is wrong? It’s something we’ve been discussing in my church recently and one of the things my pastor said was that Christians should be the best citizens and work with the government and help them with their God-given responsibility, so that if there’s ever a time when Christians have to go against what the government is doing, it’s seen as abnormal. Anyway, back to the movie. One of the sweetest moments was seeing Bob Parr trying to connect with his daughter and apologize for his mistakes. It was a good reminder that no one is a perfect parent and admitting your faults can go a long way towards forgiveness and closeness in relationships. It was a little easy to see the plot twist coming in this movie, but it was still a lot of fun to watch and I would gladly see it again. I probably won’t get to write another blog for awhile. I’m heading to London with my church this week. I’m excited to get to share what God does when I get back but that won’t be till July. So until then, I hope y’all have a good summer and maybe get a chance to see The Incredibles 2. I just had the opportunity to see this new movie musical yesterday and I thought a movie review would be fun. First off, The Greatest Showman has awesome music. I happened to hear the soundtrack before seeing the movie and I was already hooked. These are very fun, catchy and beautiful songs and I loved getting to enjoy them within the movie plot. I did have a bit of trouble with the songs being integrated into the movie. I don’t know if the lip-sinking felt off, or it just didn’t seem natural to burst into song in some moments, but it just wasn’t as natural as I’ve seen in some other musical movies. So even though I loved the songs, something about watching them on screen, was just off. It may have been just me though. My sister didn’t notice anything odd about it. And I have to say the song with Zac Efron and Zendaya swinging through the air was just beautiful to watch. Anyway, on to the plot. I didn’t really know what was going to happen in this film and I liked that, so I don’t want to spoil it for anyone. But I can say that I was pleasantly surprised on the value of family this film gave off. Even though our main character gets distracted by all of the attention and fame he gets from his circus success, he ultimately values his family above all of that. In addition, the assortment of odd individuals that make up the circus also form a special bond and think of themselves as a family by the end of the movie. The love story between P T Barnum and his wife, and Philip and the acrobat was also quite touching. In fact all of the characters in this movie were very realistic and the acting was fantastic. All in all the movie was a lot of fun to watch and very uplifting. And those catchy songs are still buzzing around my head too. So if you haven’t seen this movie yet, I hope you check it out before it goes out of theaters. I haven’t done a movie review in awhile and honestly, it won’t take me as long as another story I’d like to share from my recent trip to Big Bend. And since it’s the holidays and everyone is in a rush, including me, I’m going for short and sweet. Now I’m not a huge Star Wars Fan. I enjoy it, and I know a lot of things about it, thanks to my sister. But I’m not… how should I say this, over invested? Anyway, I think this makes it easier for me to enjoy the Star Wars movies, I’m not nit picky when it comes to these movies and I really enjoyed all of them, more or less when I first saw them. Looking back, movies like Attack of the Clones and Revenge of the Sith were not that great. And actually I wasn’t too fond of Rogue One either, just because everyone died. But in general, I enjoy these movies, but I’m not so attached that I get mad if it isn’t as good as I was expecting. So anyway, I really enjoyed The Force Awakens and I’ve been looking forward to The Last Jedi for a long time. So me and my sister went opening night to see the new movie. And I can honestly say I enjoyed it. It went well with the first movie in this newest trilogy and it was a good continuation of the story. I enjoyed seeing Rey and Finn and Poe develop more as characters and learn something more about themselves. Finn finally accepted being a Rebel, Poe learned to care more for people than just being a hero, and Rey learned that she didn’t have to find her family to have a place in the world. I also was happy with the direction Luke Skywalker’s character took. It seemed very realistic and he did bring his own sort of humor to the story. There were also a lot of epic fight scenes and hilarious dialogue in the film that kept me engaged and enjoying the story. Poe’s opening quips with General Hux were particularly memorable as was Rey getting smacked by a plant when she was trying to feel the force. So if you enjoy a good action movie, with some spot on humor I think you’d enjoy this film. And if you liked The Force Awakens, I’m pretty sure you’ll like this movie too. But if you were really set on finding out who Rey’s parents were and didn’t like the direction the new films were taking, you might be disappointed. But I enjoyed it and I hope you do too. In any case, I hope you enjoy the holidays and take some time to be with family and friends and remember that relationships are more important than presents. Merry Christmas everyone! So let’s start off with their similarities. In both films, the Mexican tradition of the Day of the Dead and remembering your ancestors is a big part of the story. And both films show dead relatives coming back to visit on the Day of the Dead and involve the protagonist getting to see the dead’s world and then coming back to the real one. There is also a large emphasis on music and our protagonist in both films wants to be a musician even though his family is against it. These movies are also both geared towards younger audiences because they are family films and are animated. Now let’s look at some of their differences. First off, the animation style is very different. Most of the Book of Life is told as if the characters are puppets and so their proportions reflect this and they can look a little goofy. It works in the story, but I tend to enjoy the more realistic style of Pixar’s animation in Coco. Pixar has a way of just making beautiful scenes in their movies and this happens again in Coco. Speaking of breathtaking scenery, the scene where Coco first sees the Land of the Dead is quite breathtaking. But these two films, though based on the same mythology, take a bit of a different twist on what this afterlife is like. In Book of Life, the Land of the Remembered is where people go when they are remembered and it is a colorful place ruled by the benevolent La Muerte. Whereas the Land of the Forgotten is ruled by the less lovable Xibalba. However these rulers are not mentioned at all in Coco, and it’s world seems more based on reality with many similarities to our own world. Also, when someone is forgotten, they simply disappear from the land of the dead. It is even suggested that everyone will eventually be forgotten which is heartbreaking. There is also a big difference in how these two stories play out. Book of Life revolves around a romance and a love triangle which makes sense with our older main character Manolo. In the end he proves to his family and Xibulba that he doesn’t have to kill the bull to win but instead he can use his music to win and show love. In essence he is proving his family wrong. I love the story, but I really like how Coco takes this a step further. Miguel in Coco is much younger than Manolo and is not interested in romantic love. Instead he wants to pursue his passion for music and become a musician. But his family has a deep hate of music and he ends up running away to pursue his dream. Miguel does get to prove his family wrong in the plot, and show that music is not bad and as his family, they should support him. But he also learns a lesson; that family is more important than music, and chasing after a dream at the cost of family is not worth it. I really like that everyone learns a lesson in this film and I think it brings more depth to the movie. The music in both of these movies is very good. Book of Life uses a lot more popular music with a Mexican twist in addition to a couple of original songs while Coco has exclusively new music written for it’s story. I don’t know if I could choose one soundtrack over the other, but it is fun to hear new songs from Coco. And the last thing I’ll say, is that while both movies have their twists and turns, and both have well written stories, I think Coco is more surprising than Book of Life. It’s pretty easy to guess where the love triangle is headed in Book of Life’s story and even though there are obstacles along the way, it’s easy to guess the ultimate outcome. Coco, however, has several unexpected twists that I don’t want to ruin for anyone who hasn’t seen the film yet. So I’ll just say I think Coco did a better job at doing the unexpected. But since Book of Life came out first, they might win on originality. In any case, both of these movies are very enjoyable and I hope you get to see them sometime soon. Though I don’t believe in this version of the afterlife and I’m glad that my happiness is not dependent on someone else remembering me, I did enjoy the stories these two films tell. Last night I rented the movie Gifted from Redbox and oh my gosh it is such a good movie! Ever since Chris Evans started playing Captain America, I’ve liked him as an actor and I was very interested to see him play a character in a father-like role. I was not disappointed. He did a great job playing a man caring for his niece and trying to help her enjoy life and learn to connect with people, not just pursue her interest in math. This movie did a great job of showing how life is more than just success, fame, and accomplishing a goal. Being smart is not everything and having a gift doesn’t mean you’re different from everyone else. We all need family, connection and relationships. Our society puts a lot of worth in what you can do, if you’re really good at math, or sports, or some other niche we’re told to pursue that. But this movie reinforced that human interaction and relationships are just as important. The girl, Mary, learned how to defend others, have compassion, forgive, and take a break to enjoy a sunset with a loved one, not just solve math problems. Life is so much more than work, success, and getting ahead. And I loved that this movie reinforced that. God made us to live in community, to have relationships with people and with Him. And without that, our lives are empty, even with all the success. Just as Solomon wrote “I denied myself nothing my eyes desired; I refused my heart no pleasure. My heart took delight in all my work, and this was the reward for all my labor. Yet when I surveyed all that my hands had done and what I had toiled to achieve, everything was meaningless, a chasing after the wind; nothing was gained under the sun” (Ecclesiastes 2:10-11). 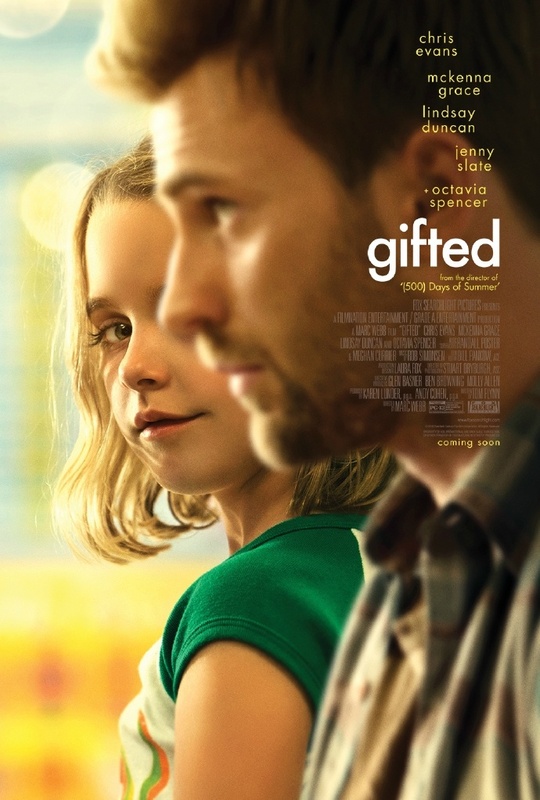 Though this is not a Christian movie and this message is not clearly expressed, there is a very interesting conversation between Frank (Chris Evans) and Mary (Mckenna Grace) about the bigger questions in life, like God and faith. I may not agree with everything said, but it was all very sincere and showed the importance of something beyond success. I also loved seeing Frank dealing with the conflict with his mother in a mature way. Many dramas tend to overdo the tension between family members in this sort of story, but while there was tension, you could still see that they were family and loved each other. Also, Frank expressed well the normal fears that all parents have, wondering if they’re doing the right thing and wanting to do what’s best for their child. In the end he realizes that he really can take care of Mary and is the best person for the job. One of my favorite scenes is when he realizes her cat Fred was taken to the pound and he races over to save it from getting put down. It was such a heartwarming conclusion and then he goes even further and takes the two other cats that were going to be put down that same day. There are a few inappropriate scenes, hence the PG 13 rating. But I’m willing to look past them for the heart of the story, and now that it is released on DVD, those scenes are easy enough to fast forward through if you find that it’s an issue. I don’t want to give away the whole plot, I’ve probably already given away too much, but I just loved this movie so much. It’s sweet, heartwarming, funny, and well it made me shed a few tears as well. I hope it gets nominated for an Oscar because it’s honestly one of the best movies I’ve seen this year. Plus Chris is friends with Mckenna in real life. Here’s a video of them answering some questions together so you can get a taste of what you’ll get if you watch the movie. I’ve been reading the Brotherband Series by John Flanagan recently and I was struck by one character’s action. The whole group or brotherband as they are known were worried about one of their group who was injured and left behind to recover and also missing the constant bickering that usually came from that member’s presence. So this character, Thorn, decides to create some bickering with another crewmate’s help and soon everyone is laughing and enjoying themselves again. I’ve also been rewatching a lot of Marvel movies with my sister, and each of these movies intentionally adds a lot of comedic scenes and moments into their plots. I think this is part of the reason that they are so well liked. We all like to laugh, to smile, to experience joy. It’s part of our human nature. Now laughter may not always be the appropriate response, it could be seen as offensive or hurtful in certain situations. Just as Solomon writes there is “a time to weep, and a time to laugh” (Ecclesiastes 3:4a). Sometimes it is not a time to laugh. But laughter is important. Whether it’s laughing with friends at an inside joke, or a funny line in a movie, or book, or just at a punny situation, laughter is part of life. And often, it’s the best medicine. Laughter breaks up boredom, releases tension, heightens enjoyment and has many other physical benefits. So I’m thankful for all the people that make me laugh: my family, friends, and even the comedians online or on TV. I hope you have a good laugh today. Remember to enjoy life, laugh at the awkward situations you find yourself in, and don’t take yourself too seriously. Sometimes all someone needs to brighten their day is a little laughter. So here’s a clip to help you laugh a little today. Enjoy! So I saw the new Spider-Man movie last week. I don’t want to spoil anything, so if you haven’t seen it, go ahead and watch it first! It is so worth it. But if you really want to read my thoughts first, I think you’ll still enjoy it and I’ll try not to give away anything too important to the plot. There have been a lot of Spider-Man movies in my lifetime but this one was unique. This was the first movie actually set in the Marvel Universe, which means other characters like Captain America and Iron Man could also be mentioned or make an appearance. This movie also provides us with the youngest version of Spider-Man. Not only is the actor younger and actually looks like he is in high school, but he is also only 15 years old in the story instead of a Senior. It’s really cool to see him developing in this movie and knowing that he still has a long way to go. I also particularly enjoyed how Iron Man takes him under his wing and becomes a mentor in the only way Tony Stark can, with a lot of humor, wit, and mistakes. The scene where Peter discovers all of the extra features his suit contains is quite funny. Tony really is the best at making superhero suits, but they can be a bit over the top. One of my favorite parts of this movie is just how realistic Peter is; he trips, falls, fumbles with his words and it’s just so funny. And he also does those little heroic things that anyone could do, even without a suit, like giving an old lady directions. I also really loved that he doesn’t have to keep his identity a secret from everyone. In both of the previous versions of Spider-Man, Peter is very much alone with his secret, unless a bad guy finds out about him. But in the new movie, not only does his mentor Tony know, but soon his best friend at school finds out too and it makes for a great comedic combination. This movie is full of laughs and all things that make a great Marvel movie. In addition, the story does not revolve around a love interest as the other Spider-Man movies do. Yes, there is a girl that Peter likes and it’s a fun part of the story. But the plot line in not about getting the girl or saving the girl and that is quite refreshing. All in all this version of Spider-Man is much lighter and more enjoyable than its predecessors. There’s definitely not as much dark brooding or angst but there is plenty of excitement and a very well developed bad guy to keep you engaged with the story. I highly recommend this movie and I may have just found my favorite version of the Spider-Man character. And as always, make sure to stay to the very end of the credits. Marvel has done it again and there are two end credit scenes. I’ll just leave you with this preview in case you still need some convincing to see this awesome movie. If you read my blog posts you know I’ve been eagerly awaiting the release of Cars 3. If you do decide to read this, be aware that I will share some of the story plot points. So if you don’t want to be spoiled on anything, you can wait till after you’ve seen the movie to read my review. But if you don’t mind a general overview, go ahead and read. Before I get to the review, though, I want to share something else. You see this past weekend, when Cars 3 came out, my church had organized a youth retreat for our students. I was helping teach at the retreat and our focus was on God’s Kingdom and living for it instead of yourself. I found my desire to see Cars 3 as a perfect illustration at the retreat, so I thought I’d share it here as well. Although I love movies and get excited to see ones I’ve been waiting for, living for them is not fulfilling. At the end of the day, a movie is just a movie. Two hours and it’s over, maybe you liked it, maybe you didn’t, but it’s not as important as other things in life. When I committed to teaching at this retreat, I was showing by my actions that I value the Kingdom of God more than getting what I want. Even though I would have loved to see Cars 3 on opening night, living for God and His kingdom is so much more important to me and more valuable in the long run. His Kingdom doesn’t end, like movies do, and He satisfies us with His presence, love, peace and truth in a way that nothing else can. So anyway, I just wanted to share that before I give my review. I think putting things into perspective helped me enjoy this movie more. I wasn’t looking for a perfect movie to satisfy all of my desires, but instead got to just enjoy it for what it is. Plus I got to see it with two of my closest friends and laugh with them during the whole thing, which makes any movie experience ten times better. If you couldn’t tell from the above comments, I loved this movie. It was just what the original story needed as it’s sequel. There were tons of funny parts. I especially liked seeing McQueen’s interactions with his fellow racers and then with the new character Cruz. One of my favorite scenes was when Cruz tells Lightning he has to name all of his tires and he responds with the most sarcastic and hilarious response: “Lefty, Righty, Backy and Backy Jr.” It’s fun to see them learning from each other and although I was hoping for Lightning to have a big comeback, seeing him become a mentor to Cruz was ultimately much more satisfying. All of our favorite characters are back, even Chick Hicks, and their interactions match their personalities perfectly. This film stays true to the original Cars feel, and shows the value of community and relationships over just winning. And it also dives deeper into the background for Doc’s character and shows how much Lightning changed him as well. All in all this is a very heartwarming story and it was well worth the wait. So good job with the sequel Pixar! I hope you do this with all future sequels. If you haven’t seen Wonder Woman yet, be warned, there are spoilers in my review. So I’ve put off writing a review for Wonder Woman even though I saw it in theaters opening night. I think it’s because I really wanted to like this movie and most of the reviews and responses to the movie were very positive. But I just didn’t come out of the theater thinking ‘I loved that movie’ and I wasn’t really sure why. But now that I’ve had some time to think it over, I’ve come up with some reasons why I didn’t love this movie. Now don’t get me wrong, this movie is a very high quality film and I’m glad it’s getting good reviews and people are enjoying it. I don’t want to start any arguments or make anyone upset. But since I have reviewed movies in the past, I wanted to at least give my opinion. First off, one thing that makes me love a movie is the comedy. Not all movies need to have comedy, but even dramas I think are improved with moments of comic relief. Wonder Woman too, includes some comedic moments, but most of them are based in sexual humor which is awkward to me and not very funny. I don’t like that kind of comedy and so I found this movie very lacking in any funny moments that usually make me enjoy a superhero movie. In addition, what makes me really enjoy a movie is a connection to the main character and a desire for them to succeed or accomplish their goal. I’m still not sure why, but I just didn’t connect to Wonder Woman as a character. I didn’t care what happened to her and even when her love interest died, I didn’t cry. Maybe it has something to do with her being a god and not having many things is common with me, or many of the other characters. And lastly, I had a hard time following the story in Wonder Woman. 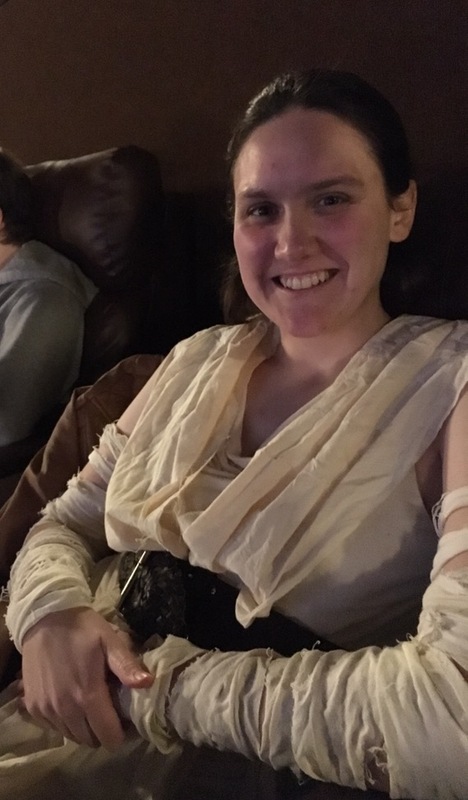 She seems to believe for most of the movie that she just has to defeat this one bad guy, Ares, and then everyone will stop fighting and there will be peace. It’s a naive understanding and I enjoyed seeing her discover that killing one bad guy won’t solve everything when she kills the German with her sword and the fighting doesn’t stop. But then the audience is shown that in fact it was just the wrong bad guy and even her sword isn’t the weapon we thought it was. So instead Wonder Woman is the weapon and some other guy is Ares and she battles him, wins and then the fighting stops. So it felt like they were setting up an alternate ending where Wonder Woman doesn’t just defeat a bad guy and win, but then that ending sort of happened anyway. So I felt led on as an audience member. I don’t mind it usually when movies have surprises that you weren’t expecting, but it just felt like it was trying to do something new and then said never mind we’ll just do the regular ending that everybody expected at first. In conclusion, as I’ve already said, I didn’t enjoy the movie. And that’s sad because I was really excited about it and was hoping I’d really enjoy it. I loved the scenery and setting in World War 1 and I liked Chris Pine’s acting and several of the action sequences were very well done. But in the end, it just wasn’t for me.